The way to heaven. Is the door already forever open for you? 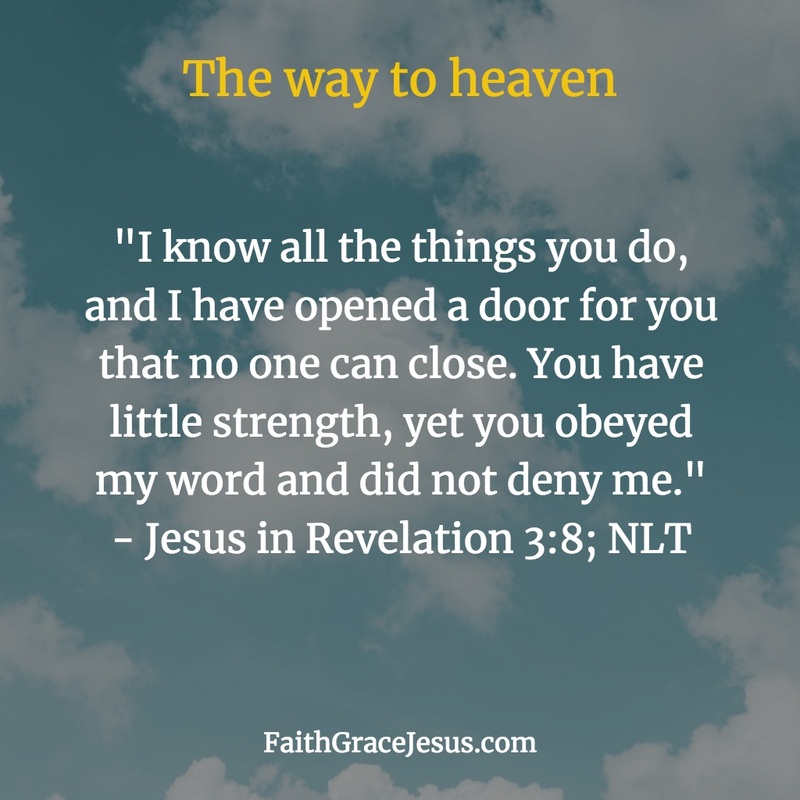 What can we do to get to heaven? Nothing you can do will get you to heaven. You cannot buy your way to heaven, you cannot earn your way to heaven. The Good News: Jesus took care of this once and for all, 2,000 years ago. He has opened the door to God for all who believe in His finished work. Jesus took all the punishment for all your sins and was punished in your place. Jesus redeemed you. Who lives under the curse?